I feel like it’s safe to say that dogs love winter more than humans. With winter approaching it is important for you to take care of your pup before and after any outdoor activities. We all love nicely plowed roads and sidewalks, but with that luxury comes a build-up of salt. The salt can cause your pups paws to dry out, and in turn creates them to crack and be sore. In order to prevent any injury, here are some precautions you can take prior to your adventure. Doggie Boots- if you can convince your dog to actually wear these things, than all power to you. Most dogs can’t stand them. Visit a Groomer- Keep the hair between your dog’s toes and pads clipped short. When hair is left too long around these areas, you get these dreaded painful ice balls that form. While you’re at the groomers, it wouldn’t hurt to get a nice nail trim. Long nails can cause your dog to walk on the back-end of their feet. In turn, this causes their toes to spread, which in turn leaves more room for ice balls to form! BEWARE OF THE ICE BALLS they are the WORST! The above tips should definitely help make your outside adventure last longer and it also will make it more enjoyable. However the work is not over. Proper care for your pup once you get inside after your walk is just as important. Gently dip your pet’s paws into a bowl of warm water or use a warm washcloth to remove any excess salt build up. 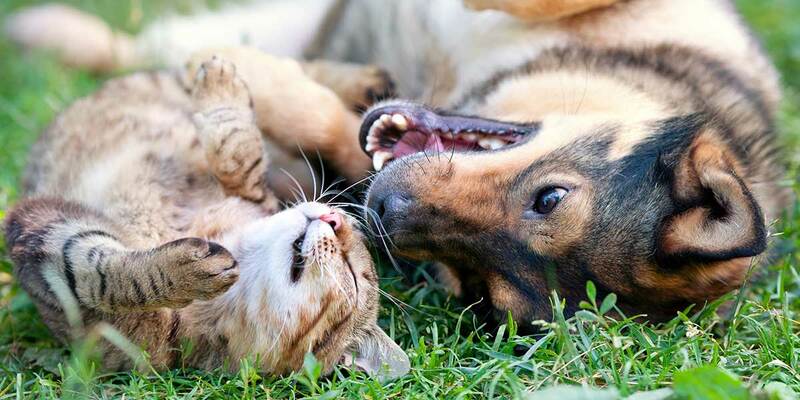 This will help prevent your pet’s paws from getting chapped. Don’t assume that your pets fur coat is thick enough to keep them warm from any weather condition! It’s not. 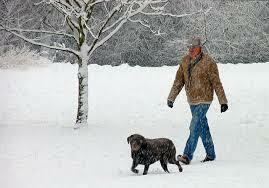 If you notice a wet coat after a walk, take a blow dryer to their coat to keep them dry and warm. 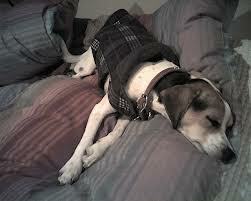 Depending on the dog, of course, you could also invest in a pretty sweater or coat to maximize warmth and comfort. As always make sure your pet as plenty of fresh water. Hope you and your pet have a fun winter season! Previous PostPrevious Thanksgiving Leftovers – What’s OK to Feed Your Dog?